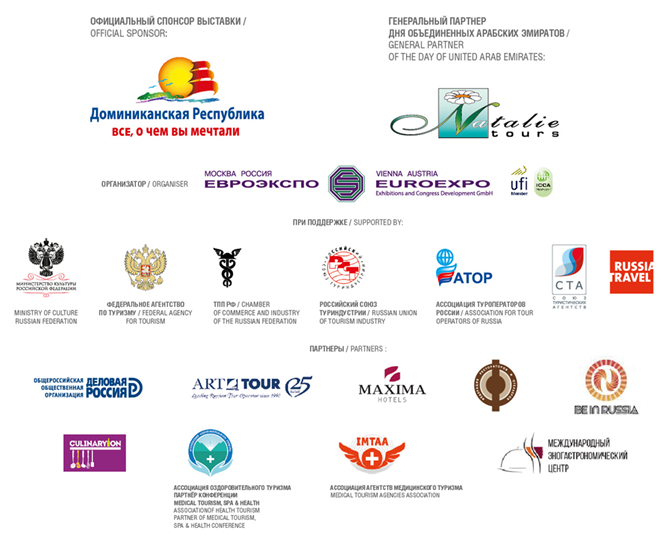 On 19-21 September CEC “Expocentre” hosted OTDYKH International Tourism Forum and Exhibition, supported by the Ministry of Culture of the Russian Federation and the Federal Agency for Tourism. The Forum’s business programme was dedicated to the common topic: “Tourism Industry as a driver for economic growth. Russia’s modern tourism image”, incorporating over 29 business events and involving representatives of government authorities and travel industry. Following the world trends in the exhibition industry, the organizers of the International Forum Exhibition strictly segmented the exposition and business events, making the main emphasis on the domestic and inbound tourism development. 861 companies from 44 countries took part in the exhibition. The most popular stands according to the OTDYKH visitors were the stands of South-East Asia, Latin America and Africa. Russia was represented by 40 regions, increasing its exhibition space in 3.5 times compared to 2016. The total exhibition area was 15,000 sq. m.
Armenia and Greece participated at the exhibition with national stands for the first time. Finland was back again at OTDYKH after a long break. On the eve of Russia-India Cross-Tourism Year, the Ministry of Tourism of India, Goa, Karnataka and Kerala represented a large-scale exposition. Maya Lomidze, the Executive Director of the Association of Tour Operators of Russia (ATOR) and Mr. Ajit Pal Singh, Deputy Director of the representative office of Indian Ministry of tourism in Europe, Russia and CIS countries discussed the promotion of these destinations in the Russian market during the round table that took place within the OTDYKH exhibition. “Live Lessons”, “Imperator’s route”, “The Eastern Ring” federal projects and “Industrial Tourism” were among the exhibition’s newcomers. Russian health resorts were demonstrated at the OTDYKH Medical Tourism, Spa & Health exhibition. “Inters” together with the Moscow city Department of Sport and Tourism organized an informational tour for regional agencies from 50 Russian regions, which included visiting OTDYKH and participation in the exhibition’s business programme events. The official sponsor of OTDYKH International Forum Exhibition was the Dominican Republic. The Partners were “ART TOUR” and “Natalie Tours”. The opening day of OTDYKH Forum Exhibition was declared the Day of the United Arab Emirates, held under the aegis of “Natalie Tours” tour operator. The official opening ceremony took place on 19 September. Among the honoured guests who welcomed the exhibitors and guests, there were: A.Y. Manilova, Deputy Minister of Culture of the Russian Federation, V.V. Ryazansky, Chairman of the Federation Council Committee on Social Policy, O.P. Safonov, Head of the Federal Agency for Tourism, Sergey Shpilko, President of the Russian Union of Travel Industry, Elena Kountoura, Minister of Tourism of Greece, Galina Lysenko, Head of Representative Office of the Ministry of Tourism of the Dominican Republic in Russia, Ukraine and CIS. The OTDYKH business programme was of great interest among experts, industry associations and companies actively engaged in the Russian tourism industry. In addition to numerous conferences, round tables and workshops, the Forum became a platform for signing intergovernmental and partnership agreements. On 19 September, A.Y. Manilova, Deputy Minister of Culture of the Russian Federation and Elena Kountoura, Minister of Tourism of Greece took part in the Opening Ceremony of the Russia-Greece Cross-Tourism Year 2017-2018. The Plenary meeting “Open dialogue of tourism industry top managers. Tourism development: the future agenda” opened the business programme. Among the open discussion participants there were V.V. Ryazansky, Chairman of the Federation Council Committee on Social Policy, M.V. Degtyarev, Chairman of the State Duma Committee for Physical Culture, Sport, Tourism and Youth Affairs, A.Y. Manilova Deputy Minister of Culture of the Russian Federation, O.P. Safonov, Head of the Federal Agency for Tourism, S.P. Shpilko, President of the Russian Union of Travel Industry. O.V. Prusakov, Director of Consumer rights protection department of the Federal Service for Supervision of Consumer Rights Protection and Human Welfare (Rospotrebnadzor). 74 subjects of the Russian Federation took part in the meeting. The experts discussed the industry’s main challenges, summed up the results and announced plans for the coming year. “The importance of tourism for the Russia’s economy is underestimated. On example of agriculture we see what results can be achieved if the industry is a state’s priority. With the state’s active contribution, tourism can become a driver of economic growth. We offer a lot of diverse tools for this,” said Valery Ryazansky. Alla Manilova noted that tourism is a unique tool for the territories promotion: “Of course, many tourists choose holiday resorts, but still many people — about 80% — prefer sightseeing. Striving to meet demand in all spheres, we faced serious challeges. We need to develop tourist infrastructure, to promote of domestic directions and change the philosophy of the entire hospitality industry”. O.P. Safonov, Head of the Federal Agency for Tourism described in detail the results of the Federal Target Programme implementation. Thus, for the period from 2011 to 2018 inclusively 100 billion roubles from extra-budgetary sources and about 25 billion roubles from federal and regional funds to be invested in Russia’s tourism sector. Over 18,000 jobs were created, the number of employees in tourism increased to 500,000 people. The number of rooms in accommodation facilities was doubled. At the same time, the service quality improvement and on the promotion of the Russian tourist product in Russia and abroad remain the most topical issues of the today’s agenda. “Imperial Route” presentation aroused much interest among the OTDYKH visitors. The route covers the places where the last Russian Emperor Nicholay II stayed with his family, the history of grand dukes’ estates, numerous royal residences, and places of pilgrimage of the Romanov family. The route passes through Moscow, St. Petersburg, Kaluga, Orel, Kaliningrad, Nizhny Novgorod, Vologda, Kazan, Syktyvkar, Ufa, Tver, the Crimea, Tyumen, Tobolsk, Ekaterinburg, Omsk. According to Alla Manilova, Deputy Minister of Culture of the Russian Federation the route has been included into the National Programme of Children’s Tourism. The project coordinator is Tyumen region. O.P. Safonov, Head of the Federal Agency for Tourism took part in the business breakfast with the Sochi City Administration and business leaders dedicated to the summer season results discussion and the cruise line launching. The Federal Agency for Tourism and NTK “Intourist — Thomas Cook” signed an agreement on the tourist product formation for the 2018 FIFA World Cup. The Economic session was dedicated to the investments in tourism, as well as discussion of difficulties and successful experiences in this field. “Any investment project in tourism involves high capital investments in fixed assets, high property tax, and long payback,” — said Ivan Egorov, Minister of Tourism of Tver region. “In addition to tax advantages, the package for supporting small and medium-sized businesses in tourism should contain measures for the market growth stimulation through the tourism products promotion”. “Territory marketing and national branding” Conference was dedicated to domestic and inbound tourism promotion in Russia. The Conference was opened by I.V. Fomin, member of the Committee on Social Policy of the Federation Council of the Federal Assembly of the Russian Federation, chairman of the Expert Council for Tourism under the Council of Federation Committee on Social Policy. The open meeting of the Inter-regional Cultural and Educational Project “Patterns of the Russian cities” took place within OTDYKH. The participants discussed the execution the President Orders of 10 May 2017 and the implementation of the “Plan of measures for the preservation, revival and development of folk arts and crafts” aimed at preserving the traditions of the peoples of Russia, the development of domestic and inbound tourism in the traditional places of folk arts. The working meeting “H-hour: 2018 FIFA World Cup” took place with the participation of representatives of the Ministry of Transport of the Russian Federation, the Ministry of Internal Affairs of the Russian Federation, Federal National Guard Troops Service, the Federal Agency for Tourism and the Association for Hotel Security. The participants discussed the operational phase of the preparation for the 2018 FIFA World Cup, approval of fan routes and issues of security in hospitality sector. The detailed discussion of the last topic was held within the Conference “Hospitality Business: Interaction with State Security Authorities and Migration Service of the Ministry of Internal Affairs”. A series of workshops was dedicated to the tourism sectors, which have great potential and require the active promotion: scientific, educational, rural, industrial and children’s tourism. The satellite seminar with participation of representatives of Roskosmos State Corporation, Ministry of Culture and Tourism of the Kaluga Region, Federal Agency for Tourism, Administration of Baikonur was devoted to new opportunities for scientific and educational tourism development. The Conference “Family, youth and student’s tourism. 10 years of childhood” highlighted the issues of supporting children’s tourism development. The outcome of the Conference was drawing a resolution to be submitted for consideration to the Ministry of Education and Science of the Russian Federation. OTDYKH specialized conferences became highly professional expert platforms for dialogue and the unique experiences exchange among the specialists. OTDYKH MICE Conference “Meeting Industry in Russia” was dedicated to the discussion of the business travel and meting industry topical issues, including factors that favour and restraint MICE development in the Russia’s regions. OTDYKH Medical Tourism, Spa & Health Conference was aimed to demonstrate the opportunities of health resorts, clinics and spa centres from Russia and abroad, and discussion of the execution of the Order of the President of the Russian Federation on the popularization of health resort recreation. Modern technologies in tourism, e-commerce, the introduction of electronic tours and much more were discussed at the Conference “Information Technologies in Tourism”. The Contest videos are available on the OTDYKH website. The Culinary Tourism Academy worked at the exhibition in order to promote territories through creating culinary brands and informing the general public about the area’s gastronomic opportunities. The International Food & Wine Tourism Conference “Tasteful Journey” was opened by the report “Culinary tourism: global trends and Russian realities” of Leonid Gelibterman, the Conference moderator and the president of the UWNTO International Enogastronomy Centre. One of the most important items on the agenda of the open discussion was the practical issues of food and wine tours organization on the example of successful “Culinary Map of Russia” project. The results of the project were presented by Svetlana Sergeeva, the adviser to the head of the Federal Agency for Tourism, and Ekaterina Shapovalova the project supervisor. The visitors had a closer look at food & wine opportunities of Russia, Dominican Republic, Bulgaria, Serbia and India during cooking master classes using local products, which contribute to a more complete immersion in the specifics of the local cuisine and the region as a whole, and the promotion of gastronomic routes and the operators providing services in this area. Among the Russian regions, Republic of Komi, Yugra Khanty Mansi Autonomous Area, Yaroslavl region, Vladimir region, Moscow region, Tver region, Vologda region, Tula region, and Ryazan region presented their culinary traditions. OTDYKH International Tourism Forum and Exhibition has become an efficient discussion platform for summing up the results of the year and discussing topical industry’s issues, a strong link between representatives of government and business, a training platform for generating new ideas and sharing experiences.